3300 sq. ft. on two floors plus 500 sq. ft. in basement room and 500 sq. ft. terrace overlooking courtyard. One of the largest condos in the city. Professional management with a full-time staff of three and security personnel. 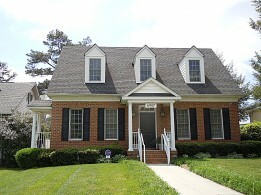 Quarter-sawn oak flooring throughout, three member crown molding in all rooms, 10′ ceilings on both floors. Wonderful living and entertaining space in a condo that lives like a Fan Townhouse, without the exterior maintenance. Perfect home for someone who wants to close the door and travel with no worries. Walk to many events at Altria Theatre and VCU. One block from the soon-to-be-built VCU Contemporary Art Museum, and an easy walk to all VCU venues.